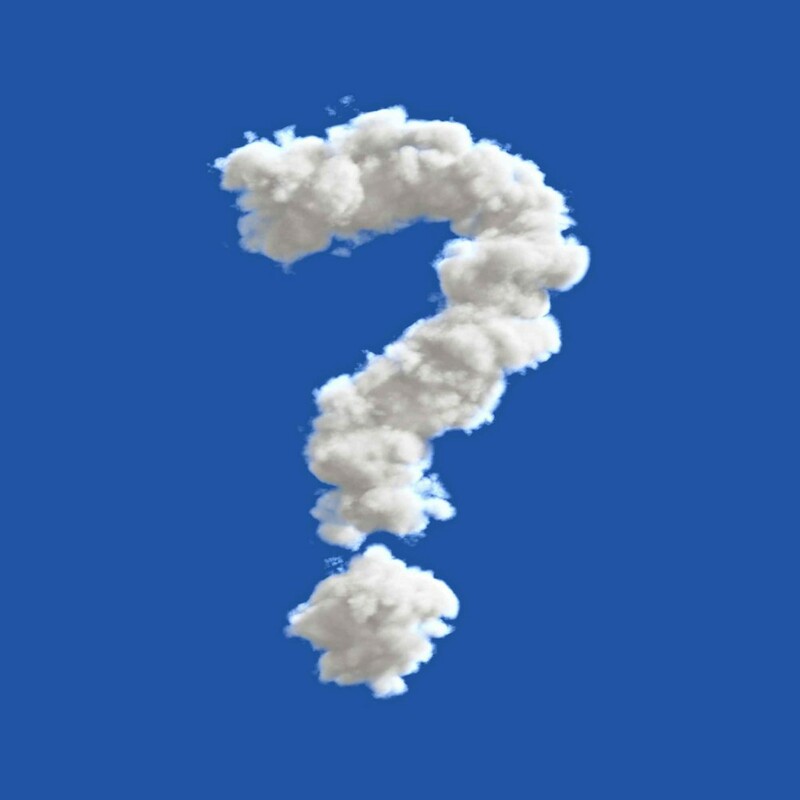 Lately, I’ve been hearing a lot of cloud phrases: ‘cloud based software’, ‘cloud based services’, cloud automation, cloud whatever… and what is all of this, anyways? What does someone mean by ‘cloud computing’… and what does that have to with me? Going back 20 years, I had everything on one portable computer. I wanted to be able to do anything computational anywhere that I happened to be. My portable had my accounting system, my contact database, Microsoft Office that I used to generate product quotations for my customers, email and fax software so that I could send the documents to the customer, a copy of my bulletin board system that users could dial into, etc. This was phenomenal, it was basically an ‘office in a box’. Fearing that I would have my portable stolen, I eventually bought a second computer and moved my personal finance and business accounting software onto it, and left it at home, locked in the basement. I loaded PC Anywhere on it and was able to run my accounting software from anywhere that I could PC Anywhere into the basement computer. 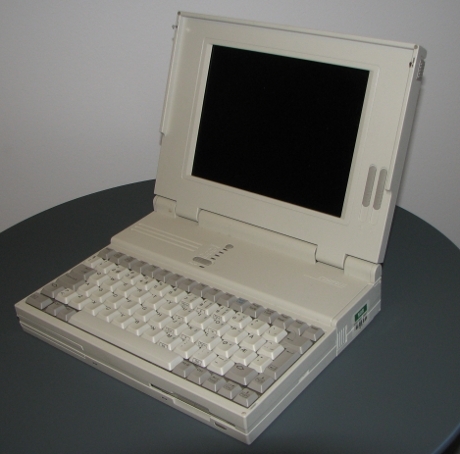 Originally I had a Compaq 286 dos based computer, and it was so impressive, my next computer was this one, an Intel 80386 based computer, with a screen that showed 4 shades of gray. Those two slider switches were for contrast and screen illumination. Later on I upgraded to a 486 based computer, with a color screen, and Microsoft Windows. Fast forward to 2012, and now I have multiple ‘workstations’, the basement computer, computers at work that are configured for a certain set of tasks, running Microsoft Windows, several Apple MacBook Airs scattered around the home and office for quick, portable access to the internet, etc, and my ‘full boat’ portable pc which has all my fancy and expensive software on it, plus a large amount of data that is valuable to me. Throw in a smart phone, an iPad, two android tablets, a couple of iPods, several Kindle book readers, etc. and you start getting the picture. Now, what’s on what? Where is the data I need now, sitting on the patio, on the computer that is at work? How about the bookmarks that I made on my other computer, I’d like to use one now to continue my research. How about calendars? Photos? Documents? Music? Contact lists? OK, maybe you’re not there quite yet, but you will be, at least a little bit, and sooner than later! Smart phones and tablets are and will make this problem get worse. Clouds to the rescue!… They will save us all! The original use of the word ‘cloud’ came from early networking and telephone diagrams, where if one network was connected to another remote network via the internet, the internet was shown in the illustration as a cloud. The cloud was basically a ‘fog entity’ that represented something that was very complicated, it provided a function but didn’t need to be explained. The ‘clouds’ in the diagram represented some kind of connectivity or functionality that was available, but not the point of the whole diagram. This diagram is from a telephone company in Colorado. Some kind of computing or ‘service’ on a remote computer, i.e. email, webs, synchronization, databases, etc. In reality, “cloud computing” is both 1. and 2., for instance storage of data coupled with a synchronizing program that updates files if they changed (think of dropbox), calendar servers that store sets of calendar information (appointments, holidays, etc) and synchronize those calendars on the server (in the cloud) with the clients (your iPad, your smartphone, your computer, etc). Another type of ‘cloud based system’ is Salesforce.com, which contains a database with your contacts, and the ability to call, email, send letters, followup, all linked to a calendar, and available via a website, or via a ‘client’ program on your IPad, etc. Those in ‘userland’ (typical computer users) might be thinking, can I see this computer that is in the cloud? Is it on a table or desk somewhere, and I can see it? The answer is typically “No”, because yes, it (the ‘cloud computer’) is somewhere on a physical computer, but that computer is usually locked up in a room where people cannot get to it (called a ‘datacenter’, which is basically a warehouse full of computers). To make things more complicated, that cloud computer (the set of programs that perform the functions like storage and synchronisation), might be sharing a piece of hardware, so a piece of hardware might have many cloud computers on it. 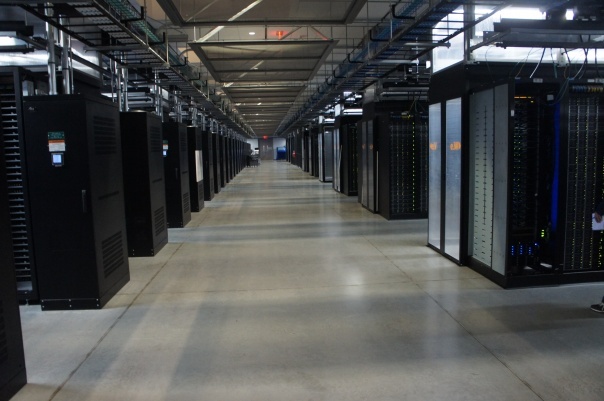 This is a picture of the inside of the Facebook datacenter in Prineville, OR. It’s located there because it’s powered by a hydroelectric dam on the Columbia River, which is a short distance from the facility. Click on the picture to take the full tour of the datacenter. At this point, if you’re “feeling ancient and out of touch”, you’re not alone. You might have stepped out of the work force for 15 years to raise a family, or just decided to put off dealing with computers for a while. In my case, I’ve tried to keep up with the changes as they occurred, but it’s never ending. For instance, I used a slide rule when going to college (University of Illinois, Champaign-Urbana, Electrical Engineering). My first computer was a kit and required soldering everything together. 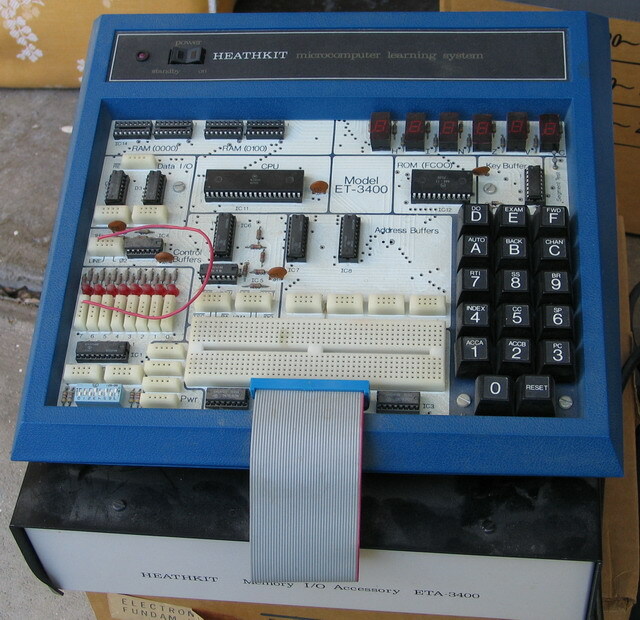 Once the soldering was done, you wrote assembly code to program the microprocessor. Assembly code is ‘machine language instructions’ composed of ones and zeros. To input the program, things were made ‘easy’ with a hex (base 16) keypad (similar to the keypad on a touch tone phone). I’ve upgraded my computers along the way and when I stop and think about the current state of computing, it’s amazing! We are lucky to be living in these fantastic times. This is a picture of my very first computer (if you don’t count my slide rule as a computer). Once delivered, it required soldering for assembly. The box on the bottom was an optional memory add-on. Notice the keypad, it had ‘numbers’ from 0 to F… hence it was ‘hexidecimal’, or Base 16. The ‘breadboard’ on the front was for creating various experiments, and the red rectangles in the upper right are LED character displays and showed the values typed in, or numbers stored in memory locations — forget ‘retina displays’, this unit could display 6 characters! What’s the bottom line for this ‘Cloud thing’? It’s best to not focus on “HOW” all of this works, but rather “WHAT WILL THIS DO FOR ME?” The “How” is represented by the ‘cloud’ in the diagram, it’s complicated, it works, and you don’t need to understand the mechanics. The “What will this do for me” is the interesting thing to most people. From a user’s standpoint, it’s best to just think about “what can a cloud do for me”. 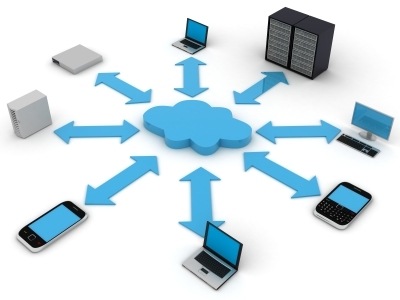 A popular function of a cloud is to keep all of your devices synchronized. There are many other uses, but this is where most users first start using a cloud. Apple recognizes the problem of syncing multiple devices, and offers ‘iCloud’ as their solution. It’s an solution that makes it easy to sync data and content across multiple Apple supplied devices. For those with PCs and Android based devices, Microsoft and Google offer similar solutions. My personal preference is an ‘agnostic’ cloud, which will sync devices supplied by any vendor (and ‘unlocks’ me from purchasing only from one hardware vendor (Apple, Google, Microsoft, etc.)). If you’ve got any suggestions on what additional functions a cloud can perform, please post them in the comments below, and I’ll try to work them into the upcoming posts. This entry was posted in Cloud based computing by admin. Bookmark the permalink.